A-HOTEL.com - Luxury and cheap accommodation in Grotfeld, Russia. Prices and hotel, apartment booking in Grotfeld and surrounding. Set in Zelënovo, Guest House Koziy Dvor provides accommodation with access to a garden. A continental breakfast can be enjoyed at the property. Situated in Sosnovka, Hotel Dom Lesnika offers a seasonal outdoor swimming pool. Featuring a 24-hour front desk, this property also has a restaurant and a children's playground. Situated in Izobilʼnoye, Holiday Home Deima-Park provides accommodation with free WiFi, a flat-screen TV and a kitchenette. The accommodation has a sauna. Boasting a private beach area and barbecue facilities, Guesthouse Waldhauzen is situated in Berezhkovskoye. Among the facilities of this property are a restaurant, a shared lounge and room service, along with free WiFi. Situated in Kaliningrad, FishDorf offers air-conditioned rooms with free WiFi. Providing a restaurant, the property also has a terrace and a bar. 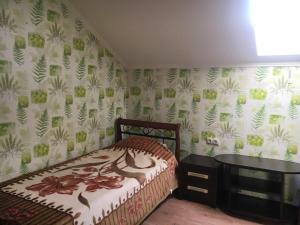 Set in Chernyakhovsk, Миниотель Черняховский offers accommodation with free WiFi and a garden with a terrace. A continental breakfast is available daily at the bed and breakfast. This 4-star hotel is located in Chernyakhovsk city centre, in the heart of Kaliningrad Region. The gym and sauna at the Kochar Hotel can be used on request. Featuring free WiFi and a restaurant, Otel U Medvedya offers pet-friendly accommodation in Chernyakhovsk, 48 km from Gołdap. Free private parking is available on site. Located in Chernyakhovsk, ASTA Apartments provides accommodation with a flat-screen TV and a kitchen. Free WiFi is provided. Located 3 km from the city centre of Chernyakhovsk in a quiet area, Park-Hotel Angel features a Russian steam bath, an on-site restaurant, a mini-zoo, and a garden. Rooms at the property feature towels and linens, heating, and a private bathroom with a shower. Providing free WiFi, Hotel Ritsa is set in Gvardeysk. The property has a bar, as well as a restaurant serving Russian cuisine. Located in the centre of Sovetsk, close to the border with Lithuania, Hotel Russia offers evening entertainment with karaoke. It features a fitness centre with massage. Mini-Hotel Mahaon has a shared lounge and a bar in Sovetsk. All rooms boast a flat-screen TV with satellite channels and a private bathroom. Hercules features accommodation in Sovetsk. With free WiFi, this 3-star hotel offers a 24-hour front desk and room service. Offering a garden with BBQ facilities, Dom Druzhby Hotel is located in Neman. Free private parking is available. Usadba Korolevich is situated in Krasnopolyanskoye and offers barbecue facilities and a garden. The homestay has access to a restaurant. Neman is situated in the apartment and offers barbecue facilities, a garden and a terrace. Free WiFi is featured. Featuring barbecue facilities and a restaurant, Гостиный двор is located in Krasnopolyanskoye. Boasting a 24-hour front desk, this property also provides guests with a children's playground. Featuring free swimming pool and fitness centre, Castle Estate Langendorf offers accommodation in Sokol’niki. Free WiFi is provided throughout the property. This family-run hotel in the Western Lithuanian town of Pagegiai offers air-conditioned rooms, free Wi-Fi, and free private parking. A garage for storing bicycles and motorcycles is offered.